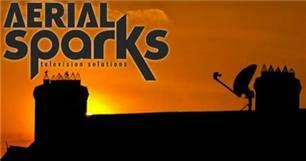 Aerial Sparks - Alarms/Security, TV Aerials/Satellite Services based in Park Cottage Drive, Hampshire. Invoice history based on 1527 reviews. With over 17 years’ experience in the trade, we specialise in all aspects of Television, Multi-media, CCTV and security solutions, both Domestic, Industrial and Commercial. Based in Fareham, and covering the whole of Hampshire and the Isle of Wight. We are a well-established company with a large and growing reputation, that cater for your individual requirements. We pride ourselves to get you the results you desire with the quality of workmanship, punctuality and reliability.